Stanford RB Tyler Gaffney (25) is called for a personal foul on Thomas Holloway (29) in the third quarter. 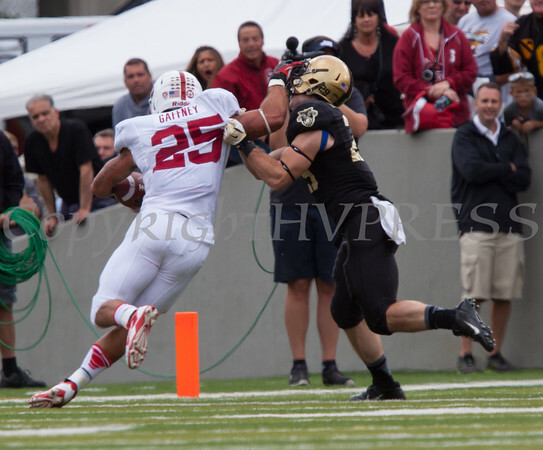 Stanford defeated the Army Black Knight's 34-20 at Michie Stadium at the United States Military Academy in West Point, NY on Saturday, September 14, 2013. Hudson Valley Press/CHUCK STEWART, JR.